NATO, an organisation brought together to function as an anti-communist alliance, faced existential questions after the unexpected collapse of the USSR at the beginning of the 1990s. Intervention in the conflict in Bosnia between 1992 and 1995 gave it a renewed sense of purpose and a redefining of its core mission. 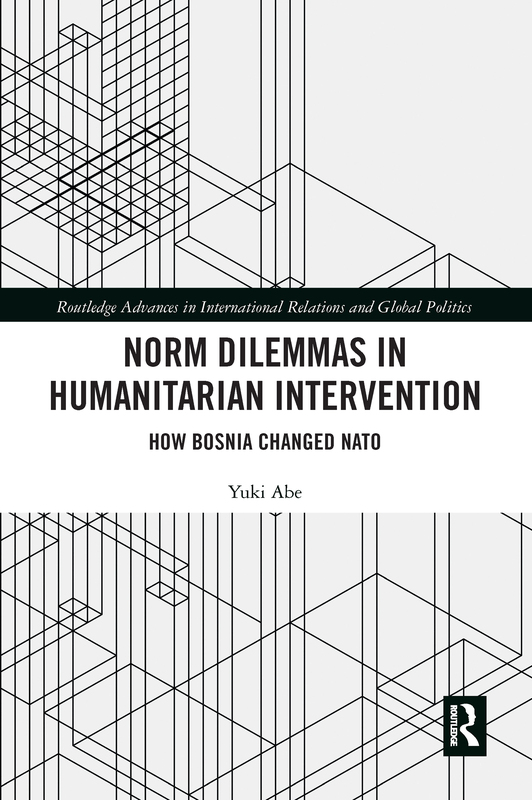 Abe argues that an impetus for this change was the norm dilemma that the conflict in Bosnia represented. On the one hand a state which oversaw the massacre of its civilians was in breach of international norms, but on the other hand intervention by outside states would breach the norms of sovereign integrity and non-use of force. NATO, as an international governance organisation, thus became a vehicle for avoiding this kind of dilemma. A detailed case study of NATO during the Bosnian war, this book explores how the differing views and preferences among the Western states on the intervention in Bosnia were reconciled as they agreed on the outline of NATO’s reform. It examines detailed decision-making processes in Britain, France, Germany and the USA. In particular Abe analyses why conflicting norms led to an emphasis on conflict prevention capacity, rather than simply on armed intervention capacity.